Release your inner rockstar with 40 mind bending rock and roll tracks. Unleash your creative juices in the Jam Mode where you can create your own music in a state of the art multi-track studio. This is the musical revolution the world has been waiting for. * 14 characters to choose from and unlock your Mii as a playable character, power up your character and band with new picks, sticks and amps. Control everything. 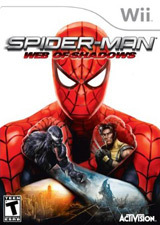 Spider-Man: Web of Shadows gives you an unprecedented level of gameplay choice, including, for the first time, control over the game’s direction and outcome. Choose how Spider-Man fights, which powers to upgrade, who in the Marvel universe to fight with or against, and the fate of New York City itself. This is your chance to be a superstar! 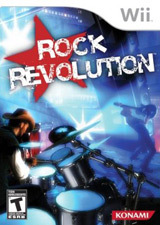 Practice lead guitar, keyboard, or dance and rock out live on stage. Check out the Fashion Designer Suite to create wicked outfits, apply killer make-up and try out some fabulous hairstyles. Take five and catch some air skydiving, or hit the mini-golf course in single or multiplayer modes. World of Goo is a multiple award winning physics based puzzle / construction game made entirely by two guys. Drag and drop living, squirming, talking, globs of goo to build structures, bridges, cannonballs, zeppelins, and giant tongues. The millions of Goo Balls that live in the beautiful World of Goo are curious to explore – but they don’t know that they are in a game, or that they are extremely delicious. • Mysterious Levels: Each level is strange and dangerously beautiful, introducing new puzzles, areas, and the creatures that live in them. • World of Goo Balls: Along the way, undiscovered new species of Goo Ball, each with unique abilities, come together to ooze through reluctant tales of discovery, love, conspiracy, beauty, electric power, and the third dimension. • The Sign Painter: Someone is watching you. 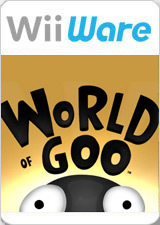 • World of Goo Corporation: Congratulations! World of Goo Corporation is the Global Leader in Goo and Goo Related Product, including World of Goo Corporation Trademark Brand Soft Drink Beverage and World of Goo Corporation Trademark Brand Facial Exfoliating Lotion. Succulent! Cesar Millan’s Dog Whisperer uses interactive games to teach Millan’s world-renowned methodology and help owners understand their dogs. You are confronted with 40 different common dog issues and, using Cesar Millan’s guidance, learn how to deal with each of them. * 40 different cases featuring common dog issues like Fear, Separation Anxiety, Hyperactivity, and Obsession/Fixation. * Cesar is the player’s guide and mentor, offering insights into dogs behavior and reaction. * Get awards and accolades as you learn to rehabilitate dogs. * Use the DS built-in microphone to help in the rehabilitation process. * Cesarpedia provides valuable information on common dog issues and treatments. Step onto the pitch and play a unique soccer experience exclusively on Wii. 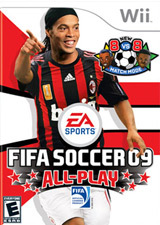 Enjoy FIFA Soccer 09 All-Play one of two two ways – a Wii specific take on the classic ‘11 vs. 11’ simulation or over-the-top arcade action with Wii versions of your favorite soccer superstars. Brave must use quick thinking and magic spells to fight off the evils rising against him and his people. Defeat Wendigo and his 6 strongest shamans by matching combinations of elements in puzzles based in 6 unique worlds. Unlock new elemental spells as you travel on your quest, use them in battle, and even save yourself from the brink of death with the unique “Last Breath” feature. Play professional soccer your way in EA SPORTS FIFA Soccer 09. From the moment you step onto the pitch, FIFA 09 challenges you to think and react like a real player through the popular feature innovation Be A Pro. Play over multiple seasons and the mode features the unique Be A Pro camera that tracks your player, re-creating the excitement and rush of racing in on a goal. You choose a professional player or create your own player and then develop his skills in the outfield position of your choice until he becomes a national legend. Every match performance is evaluated in real-time with in-game feedback and a final rating. For the first time play with up to three friends all playing fixed to single players on your favorite club or go head-to-head with a single cart and local multiplayer. Be “discovered” and whisked away to a secret, tropical island where you learn what it takes to be a star. Customize your character to create a performer who represents your unique style. Build your singing and dancing skills by performing in posh environments fit for a star. 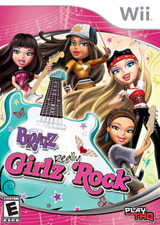 Have a blast playing with or against your friends, belting your favorite tunes into the microphone, and performing real dance moves that are captured on screen using the Wii’s motion-sensing technology. Once your skills are perfected, perform for the judges in the ultimate competition, the Boogie Star Show. * Design Your Character – Choose from millions of possible combinations to create a stylish character as unique as you are. * Sing Your Favorite Tracks – Perform your favorite songs made famous by today’s most popular artists. Featuring more than 40 popular tracks, you won’t find a hotter playlist anywhere. * Show Off Your Dance Moves – Learn the coolest dance moves in pop, urban and techno music. You can even use these moves to create your own choreography. * Perform with Your Friends – Sing or dance with a friend in two-player mode, or compete against one another with up to four players! 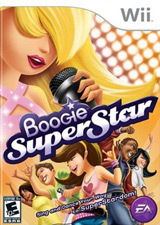 * Compete in the Boogie Star Show – Make your way to the Boogie Star Show and compete to become the next Boogie SuperStar! Take on friends, family and the world to see who can smash the most melons with their head, eat the most cockroaches or jump the farthest on a motorcycle. More than 35 unique challenges based on real life world records. Post your scores online and see how you rate – are you truly the best in the world? 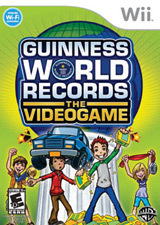 If so, your score might be listed in the official book of Guinness World Records!